With more than 100 attractions and entertainment offerings, there is a lot to see and do at the Disneyland Resort. Sometimes, the best way to experience the resort is at a leisurely pace, making time to rest and relax. It’s vacation after all! 1. Disneyland Railroad – Take a relaxing tour aboard the Disneyland Railroad and travel to your next destination at Disneyland park on an authentic steam-powered train. The attraction is just over a mile long and offers a nearly 20-minute scenic break if you take it round trip. 2. Star Wars Launch Bay – Explore immersive exhibits, encounter Kylo Ren and get off of your feet for 10 minutes in the Launch Bay Theater in Tomorrowland, offering a short film that celebrates the entire Star Wars saga running continuously throughout the day. 3. People Watching – Relax on benches throughout the theme parks and enjoy the sweet sounds and unique views of the resort. 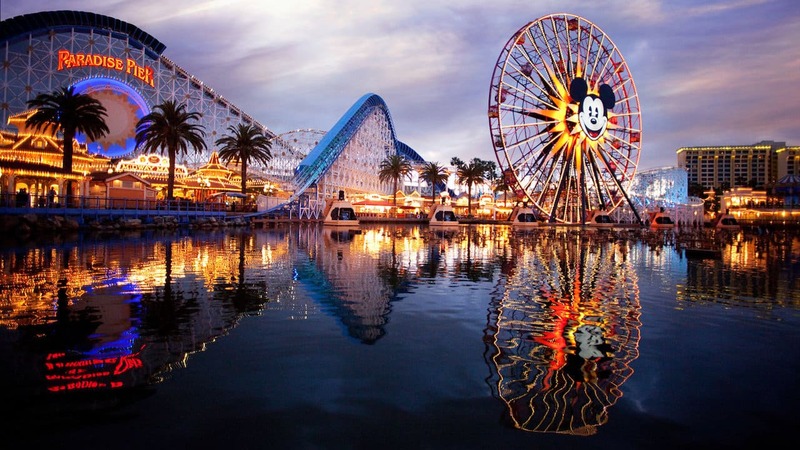 The hustle and bustle of Main Street, U.S.A. in Disneyland park, including the classic turn-of-the century vehicles, or Buena Vista Street in Disney California Adventure park, brimming with life and live entertainment, are perfect spots. 4. Mark Twain Riverboat – Take a seat aboard the 19th-century-inspired riverboat for a half-mile journey into the worlds of old America. The charming adventure offers all sorts of sights and sounds along the river’s edge. 5. Disney Animation Building – No reservations are required for the drawing classes that occur every 30 minutes at the Animation Academy in Hollywood Land. Plus, the Animation Courtyard, Sorcerer’s Workshop and “Turtle Talk with Crush” are great experiences showcasing beloved Disney films in the same building. 6. Bengal Barbecue – Take advantage of the recently added air-conditioned seats at Bengal Barbeque in Adventureland and try the seasonal favorite, Musubi Special. Additional seating in the area will be available soon when Walt Disney’s Enchanted Tiki Room and The Tropical Hideaway open. 7. Tomorrowland Theater and Sunset Showcase Theater – Head to the Tomorrowland Theater or Sunset Showcase Theater in Hollywood Land for an entertainment treat. Enjoy a sneak peek of Disney’s dazzling new adventure “The Nutcracker and the Four Realms,” now playing in the Sunset Showcase Theater! 8. Starbucks – If you’re looking to rest with an additional pick-me-up, there are several Starbucks locations with plenty of seating inside or nearby to enjoy a cup of joe. 9. Main Street Opera House – There is plenty of seating throughout the spectacular Opera House on Main Street, U.S.A. while looking at rare Disney memorabilia. Then watch Abraham Lincoln come to life! 10. Live Performances – Enjoy world-class entertainment while taking a break at the same time. “Frozen – Live at the Hyperion” in Hollywood Land and “Mickey and the Magical Map” in Fantasyland are offered several times a day. Some of my families’ favorite memories of Disneyland have come from the (many!) times we sat on the benches on Main Street to rest, enjoy a drink or treat, listen to the music, and watch the characters, vehicles, bands and visitors come and go. Numerous pleasant seating areas have already been lost throughout the park due to widening of walk-ways. 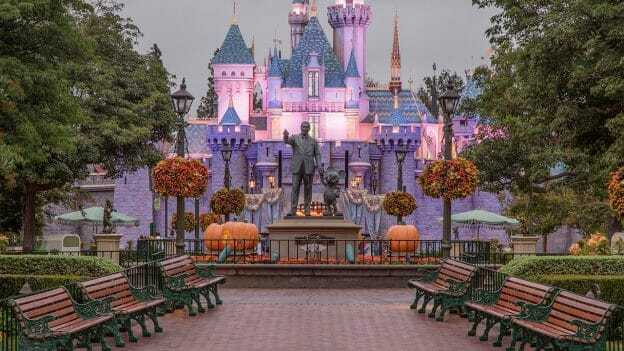 Removing the benches would be a big disservice to Disneyland’s guests. Please don’t do that. Those media reports about benches were exaggered. The park has been removing planters (some of which had seats on them) to make more room, but as far as actual portable benches, there are still many of them in the park. I agree with Jeni. Growing up, my father was not in good health. The only way he could take us to Disneyland, which he loved to do and we loved to go, was to be able to sit and rest. People need places to sit. The last time I was there (9/26/18) seating was limited. With kids, or, wanting/needing to rest, it is already difficult. Great post, Michael! And even with the removal of some of the benches in heavily congested areas during this busy season, there are still plenty to sit on to enjoy People Watching. I found number three amusing and confusing. The park just announced the removal of the benches. Please reconsider. I believe the whole idea of the park came about when a certain man sat on a bench watching his daughters. Watching our family enjoy the park is an important part of why we come to the parks. People watching is part of the experience. The smile on a dad’s face, the spark in mom’s eye and the toddler dancing and twirling all put a smile on my face. Leave the benches please.